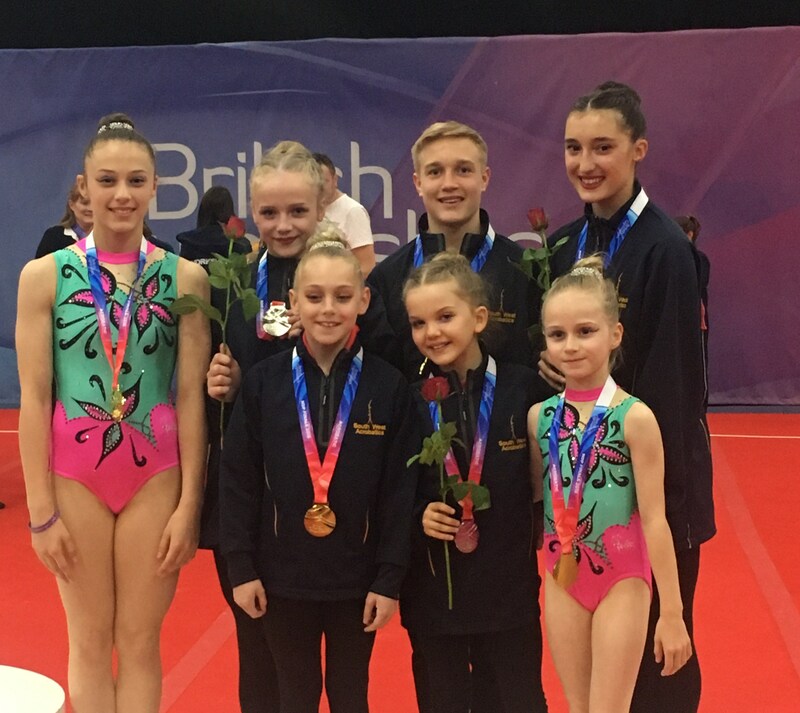 KING Edmund Gym Club’s gifted performers paraded their class in abundance once more at the British National Development Plan (NDP) acrogymnastic finals in Staffordshire. The much-decorated South Gloucestershire club, whose home can be found in an impressive purpose-built complex at the heart of Yate Leisure Centre, sent 40 young performers of varying ages and abilities to the Fenton Manor showpiece in Stoke-on-Trent to jostle for podium spots at a prestigious event comprising 13 successful regions from across Great Britain. 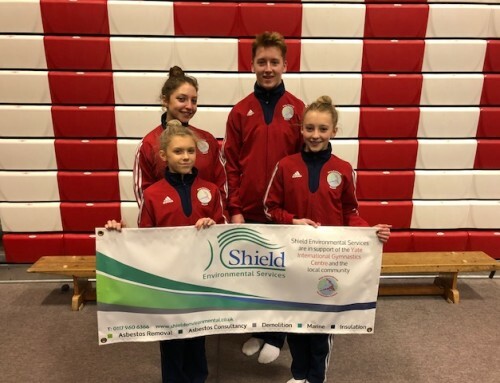 Representing the South West at the tournament the King Edmund competitors, aged between nine and 16, had all been selected due to victories in their respective categories at the regional championships in March. Not surprisingly given the stiff criteria for call-ups, competition for medals in Stoke was always going to be fierce. 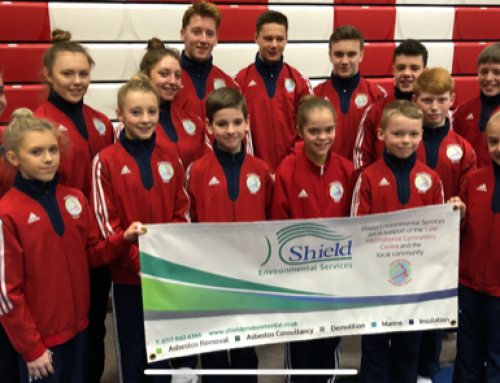 That appeared not to faze the King Eddies party one jot as they emerged with ten golds and five silvers between them in a 15-medal haul that took the tournament by storm. 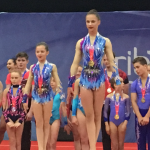 Many of those successes were down to the stirring performances by a string of women’s pairings, not least the Daisy Taylor and Isabel Mullin combination in the grade one disability category as they seized pole position. 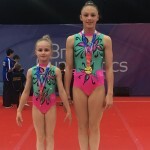 There was delight too for Polly Maggs and Chloe Hopkins in the grade 5 women’s pair event as they too secured a gold medal, as did Julia Wojcik and Lizzie Houghton in the International Development Pathway (IDP) section of the finals. Last but not least when it came to winning displays, Harry Hole and Rosie Beese were delighted to walk off with the top prize in the grade 5 mixed pair contest, while George Hunter and Adam Nicholl displayed their considerable talents to earn gold in the disability grade one men’s pair class. 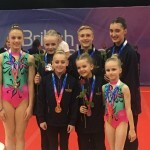 While commendable silver medals went to Millie Battensby, Ellie Marinov and Tanzie Stinchcombe performing as a trio in the grade five women’s competition, and Lauren Porter and Sian Williams in the grade two women’s disability contest, many other King Edmund starlets amply demonstrated their potential too. 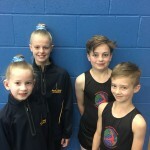 There were fourth places for Rhys James and Adrian Fjodorovs (grade 1 men’s pair) and Sam Biddle and Eleanor Norris (grade 2 mixed pair), while Connor Tucker and Zac Walker (grade 2 men’s pair) and Chelsie Randino and Rowena Found (grade 4 women’s pair) produced capable showings to come in sixth in their classes. 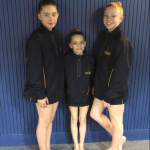 Admirable eighth places were taken by grade 2 women’s group Sophie Brander, Ava Ferris and Eve Daly and grade 4 women’s trio Sophie Noble, Charley Steele and Lucy Betty, as well as Hannah Pallot, Courtney Reeves and Frankie Welsher in the IDP category. 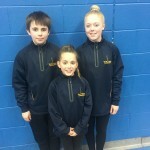 As James Williams and Jessica Steele were achieving ninth-place status as a grade 3 mixed duo, Ailsa Parsons and Chloe Howe, and Grace Ferris and Katie Reeve, were achieving tenth position in the grade 2 and grade 3 women’s pair competitions respectively, while Sophie Court and Holly Clarkson came home 11th in the grade 1 women’s pair division. 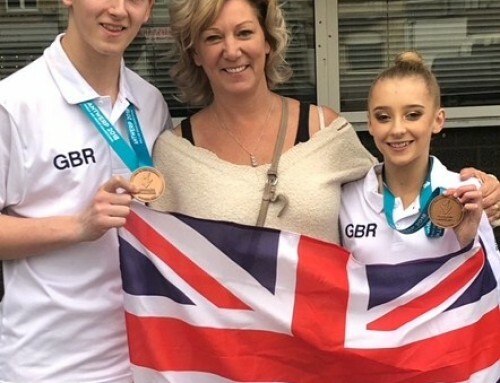 King Eddies chief executive Maiken Thorne enthused: “It was another extremely successful competition for our gymnasts and our disability performers can take a big bow as they achieved their best results at these finals. 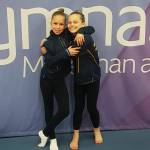 “It was a whole new experience for our two grade 5 women’s pairings, yet they weren’t in the least bit affected by the size of the task to both win gold in their first national finals. 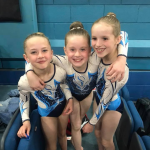 Head coach Nikki Thorne added: “These were great results again for the club and our dedicated coaching team can take a lot of credit for that along with the gymnasts. 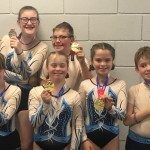 King Edmund Gym Club are now gearing up for their annual summer spectacular at their Yate International Gymnastics Centre base on Friday, July 13 and Saturday 14 when gymnasts of all ages and grades will be showcasing their talents. Share Acro Gymnastics with your friends! 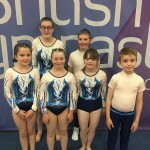 Yate International Gymnastics Centre is a brand-new acrogymnastics facility based at the popular leisure centre in the thriving South Gloucestershire town of Yate.